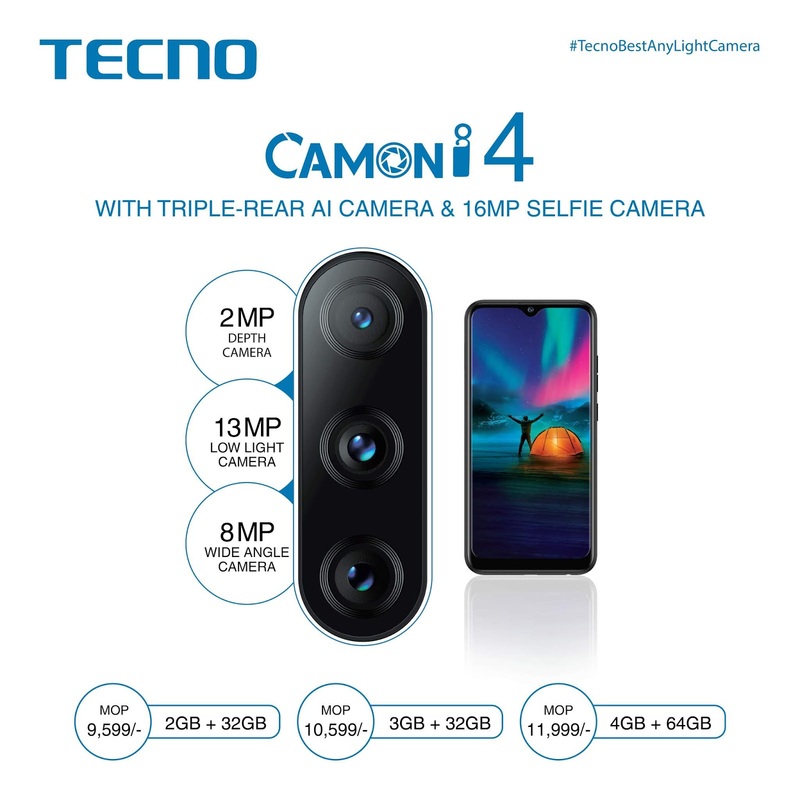 CAMON i4 is packed with best-in class triple rear camera setup which is an integration of a 13MP primary camera with large f/1.8 aperture and 5P lenses combination are a big leap forward in resolution and color presentation. While 2MP depth-sensing lens is perfectly suited for real portraits and icing on top is an additional 8MP 120° Ultra-Wide Lens, which has the same viewing angle as the human eye. This allows users to capture unrestricted wide-angle photos exactly like what one can see. Additionally, consumers can enjoy AR mode which lets users to create various funny and spicy moments with friends and family. Localized sticker enhances the fun aspect of photography. 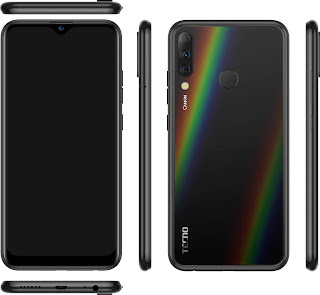 The design of the phone realizes every sense of the full screen concept. CAMON i 4 is the first smartphone from TECNO to feature a ‘dot notch’ screen with the front camera embedded at the top of the screen. 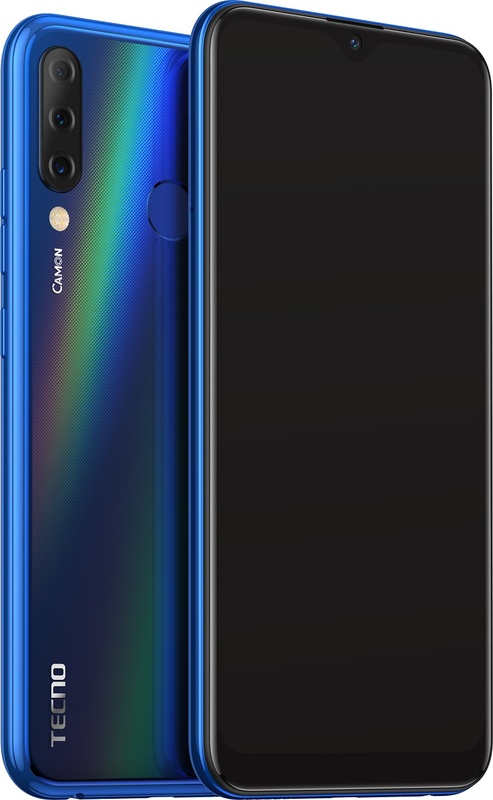 The device flaunts 6.22-inch HD+ with an aspect ratio of 19.5:9 and the higher screen-to-body ratio of 88.6% allows users for a super large view for better viewing experiences. The 2.5D glass finish back cover of phone catches the eye with a subtle yet mesmerizing interplay of light & shadow from different angles. The device comes in 4 exquisite colours - Midnight black, Aqua Blue, Nebula Black and Champagne Gold. 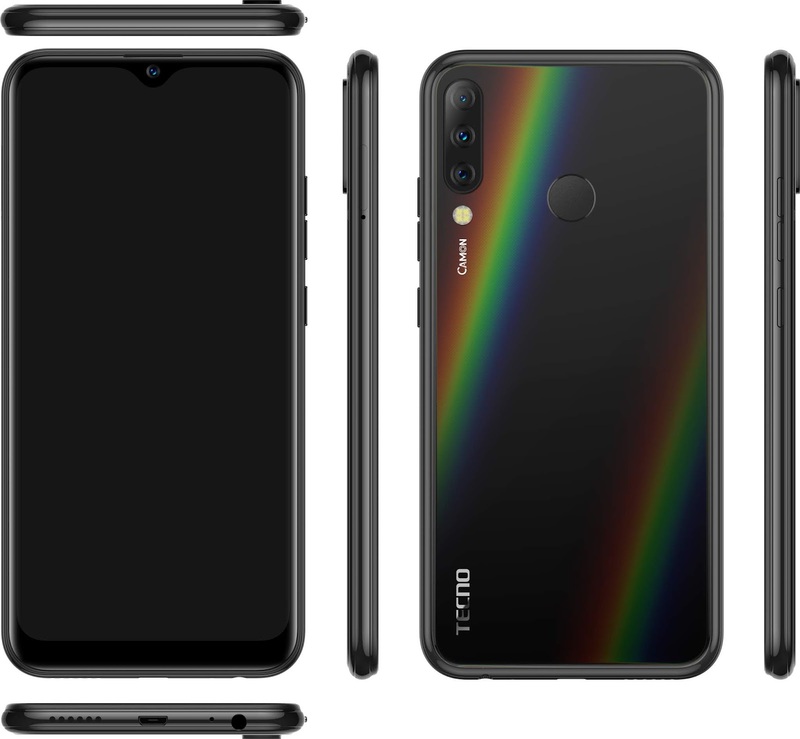 With large round curves on the corners and through the unibody design process, the device brings a singular and seamless product experience and a complete sense of grip in hands.